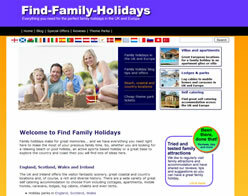 If you are planning your family holiday then high on the requirement list is a place that will entertain the children. As, whether they are 5 or 15 every parent knows that a relaxing family holiday will turn in to a stressful headache if your children are ‘bored’! Help is at hand for many parents at some of the family holiday parks in the UK, France and the rest of Europe with organised children’s clubs and activities. So what can you expect from a holiday park kids club and are they worth seeking out on your holiday. Fun Station 4 All (ages 4-12). There are plenty of activities available to keep everyone entertained and a great way to make lots of new friends. Where numbers allow, kids will be split into two age groups. 4 to 9 year olds in one group and 10 to 12 year olds in another group. This will allow 4 to 9 year olds to focus on Fun Station activities more appropriate to their age group whilst older kids will do an Energy session. Leo’s Fun Station (ages 4-6). Leo’s Fun Station is so much fun it’s not long before everybody’s taking part and enjoying all the fun activities including face painting, dressing up, playing pirates or setting off on Leo’s nature trail. And dont forget to keep a look out for Leo the Lion as he may pop in to join in all the fun! Energy (ages 10-12). With cool activities and a constant change of pace Energy is just the thing for kids aged 10-12 years old. This free club will keep them happy, active and entertained at all times whilst making lots of new friends at the same time. Base (ages 13-17). Base is a chance for teenagers to meet new friends and hang out with in a relaxed environment. There is no fixed structure to Base stucture to Base sessions as teenagers have a choice of which activities they would like to do, which guarantees a good time even if they just want to sit back and chat. Base couriers help to host activities as well as get-together like pizza evenings and beach parties. Mini Fun Station (ages 6 months-5years). 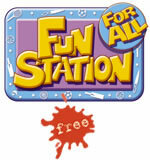 Mini Fun Station is especially designed for pre-school children aged 6 months to 5 years old. It offers free supervised fun in a relaxed and sociable environment. There are indoor and outdoor activities all run by our fully trained couriers who ensure our tiniest tots are well taken care of. All children must be accompanied by their parent/guardian, which is a perfect opportunity for you to meet other parents or just sit back and watch whilst your little one has loads of fun and makes new friends. Soccer Station (ages 5-16). Soccer Station is especially for football mad boys and girls aged 5-16 years who want to learn new soccer skills, kick a ball around and make loads of new friends. The coaches are FA qualified and trained and selected by partners King’s Camps. Each session is split in to 3 age groups with a maximum number of players in each to ensure everyone is involved and picks up new football skills. Soccer Station is pre-bookable so make sure you book your place early to avoid being shown a red card! Tumble Tots (ages crawling-5). With Tumble Tots, Britain’s top provider of active physical play for young children, they offer you the chance to enjoy the Tumble Tots experience free on holiday. There are 4 groups catering for specific age ranges, ensuring all children are taking part in activities suitable to their age group, including Gymbabes sessions for babies from 6 months. All sessions use brightly coloured equipment designed to develop skills in balance, agility, climbing and co-ordination, and include fun rhymes and action songs which ensures everyone is taking part in all the fun! We have had children attend many years of Leo’s, 7+ Funstation and Energy and can say that they have been brilliant and the children have seen it as one of the most important part of their holiday…. in fact keeping them out of the clubs so we could actually see them turned out to be the real challenge! The clubs generally run morning and afternoon for 2-3 hours. You simply arrive before the beginning of the club to sign your child in and then leave it all to the courier…. within minutes your children are playing and having fun. And, for you, its a few hours to chill out, relax, unwind etc… you have to stay on the park but a few hours freedom to do your own thing means that you to can enjoy your holiday. The value of this free time is not to be underestimated and for both children and parents some time apart makes the time together even more fun. Clubs are also organised by other Euro holiday park operators including Canvas Holidays and Siblu. Hoopi’s (ages 4-11). Hoopi’s children’s club is available on selected campsites for children aged between 4 and 11. Hoopi Club meets 6 days a week at Hoopi’s own tent – once in the morning and again in the afternoon. Club activities are designed to suit both younger and older children, ranging from sports and games for the boisterous to more sedate activities for when all their energy is used up. Activities for 12-18 years. FamilyExtra offers a great place for teenagers to hang out and try something new. Our FamilyExtra staff organise a weekly programme of sporting and social events for teenagers aged between 12 and 18. They can take part in exciting pool based activities such as canoeing and snorkelling, and even learn to walk on water without getting wet with WaterWalkerz. Back on dry land, teenagers can try out action-packed sessions like Circus Skills, Disc Golf, Movie Maker and Aeroball. Siblu offers four clubs, ranging from 1 year olds up to 14 year olds. These clubs are great for providing the space for children to meet up, do some fun activities and make some new friends of varying different nationalities. Click on the links below for more information about the different children’s clubs. 1-4 year olds (bubbles). If you’re 1-4 years old Bubbles is the place for you. With non-stop play and fun, Bubbles the baby whale knows you’ll just love it. Enjoy toys, games, waterplay and sandpits, all with new friends. 5-9 year olds (pirate club). Ooh ar me hearties! Leave your parents at home and come and join the fun with Max, Patch and Lili from Crystal Island. From art attacks and treasure hunts to water fights and sports competitions, the fun never stops! But don’t forget that Pirate Pong might be just around the corner.. Are you ready for the adventure to begin? 5-12 years olds (club max). Live life to the max at our siblu selection parcs with Max the Mouse’s very own club. Maximum fun guaranteed, from art attacks and treasure hunts to water fights and sports competitions. So what are you waiting for.. let the adventures begin! 10-14 year olds (barracudas). Calling all teens! Chill out, relax and get ready to take a bite of the action. Meet new mates and then join them for team tasks, sports, competitions and more, or be a star yourself at a Barracudas talent show. So where do you find kids clubs? For an even wider choice with more holiday operators take a look at some of our holiday listings where you will find holiday parks, villas, chalets, cottages and other self catering accommodation.